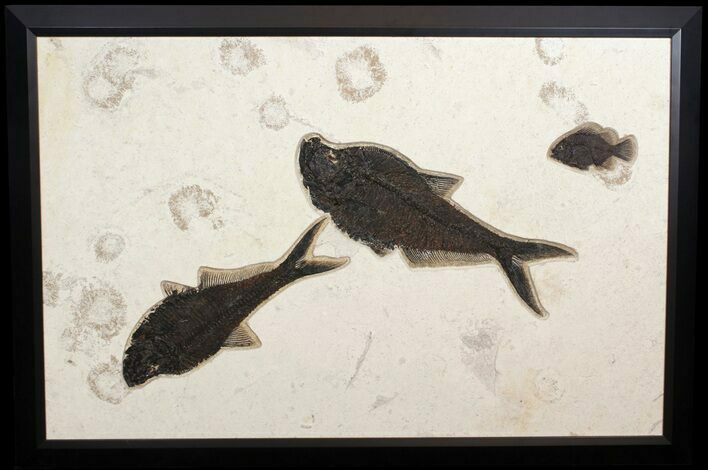 This is a very impressive, 43" wide, framed fossil fish plate from the 18 inch layer of the Green River Formation. 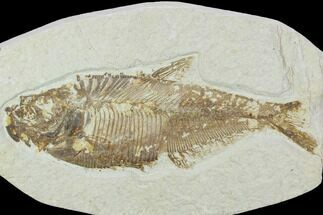 It was collected this past summer from Warfield's Quarry near Kemmerer, WY. 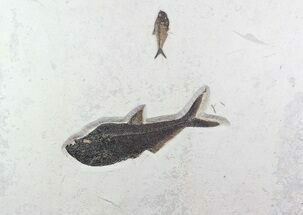 All three fish are naturally associated, not composited or inlaid. 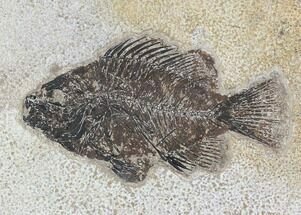 There are two, huge Diplomystus dentatus measuring 19" & 17" along with a 5.5" long Cockerellites (Priscacara) liops. 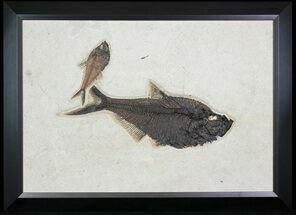 The unbroken slab of shale has been mounted in an elegant, 43x30", black frame and is ready to be hung on the wall. Freight shipping within the continental United States is included in the price. Shipping outside the continental US will cost extra and be charged after purchase. Please contact us if you need an International shipping quote. 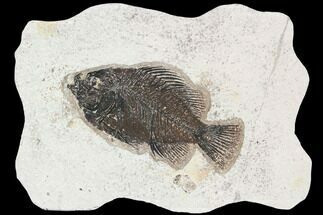 Fossil fish from the 18 inch layer split out "ghosted" underneath the surface of the rock. Typically only bumps from the back bone can be seen in faint relief against the surface of the rock. Because of this they typically collect this layer at night using high powered lighting which allow them to better see the shadows from these bumps on the rock. These fish must then be prepared removing all of the matrix from on top of them, a very meticulous and time consuming process. 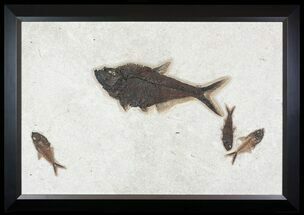 43x30", Fish 19", 17" & 5.5"